Imagine being one of those cocktail masters. The kind of person you see behind the bar of a trendy London nightclub, dazzling everyone with some amazing layered cocktail creations. You can spend hours at home with your bottles of spirits, but having the knack of getting each layer of drink to lay perfectly on top of each other isn't an easy skill to master. Now, with the Rainbow Cocktail Layering Tool, you too can become skilled in the ways of the layered cocktail! 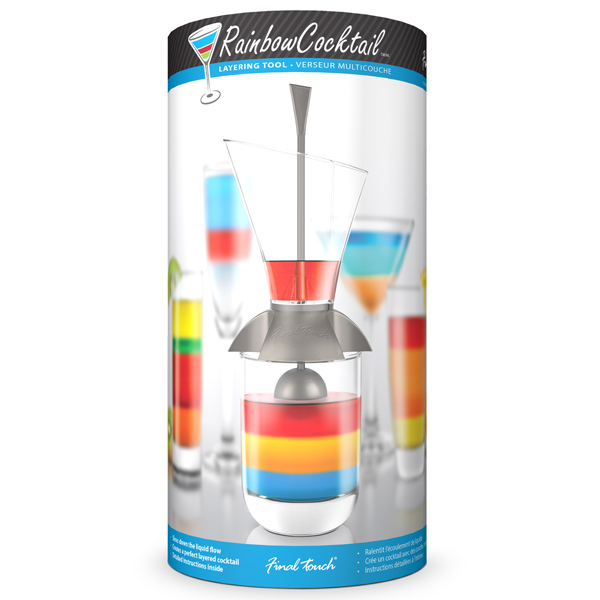 An ingenious piece of equipment, the Rainbow Cocktail Layering Tool allows anyone to start making their own layered cocktails. Using a clever float that sits on your drink as you make it, you can easily pour one drink on top of another without the layers mixing! 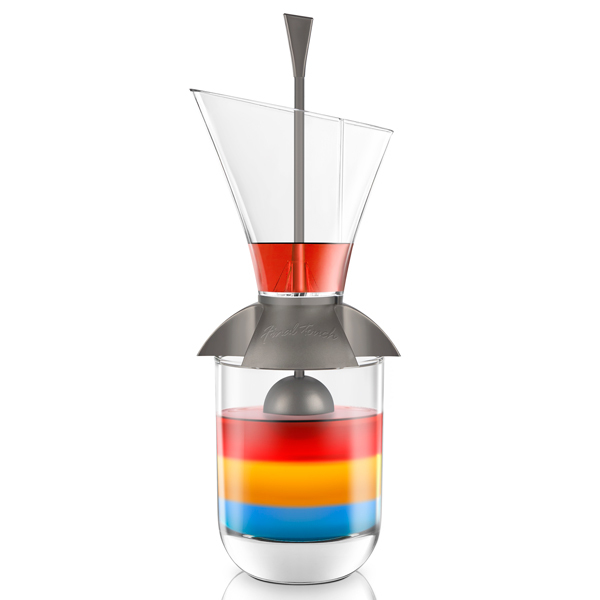 It's easy to use the Rainbow Cocktail Layering Tool. Simply pour your first liquid into a glass, then place the Rainbow Tool on top of the glass with the ball floating on the first liquid. 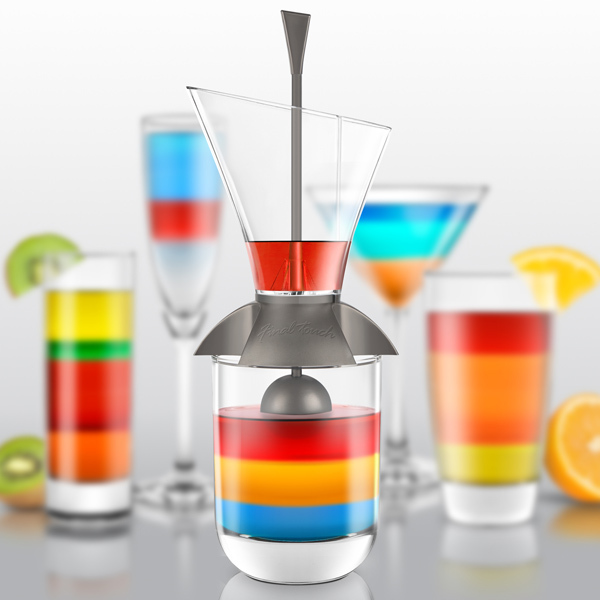 Add the different liquids, one at a time, to the Rainbow Cocktail Layering Tool. 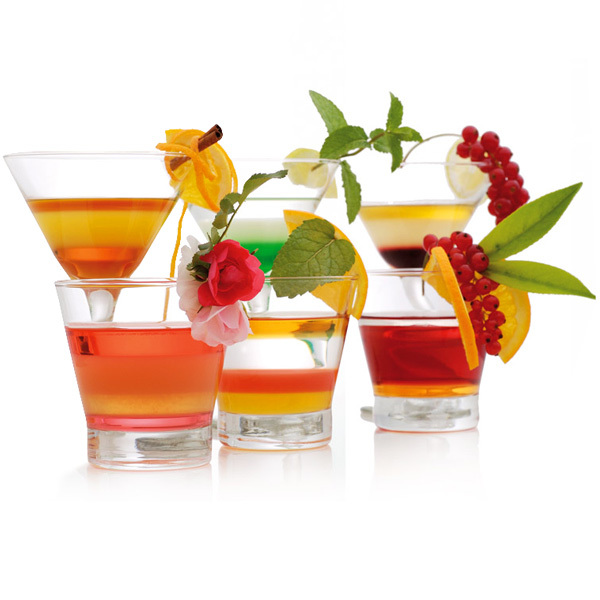 If you follow the rules of density stated in the supplied leaflet, you'll be creating layered cocktail concoctions in no time! Please Note: The float must be clean and free of traces of fat or oil. 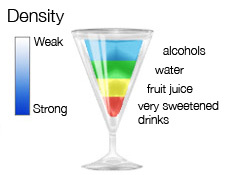 • The higher the sugar content/sweeter the liquid, the heavier (more dense) it is. Therefore, the sweetest liquid, must always go at the bottom of the glass. • The higher the alcohol content, the lighter (less dense) the liquid is. Therefore, the most alcoholic liquid used in the recipe will be the top layer. 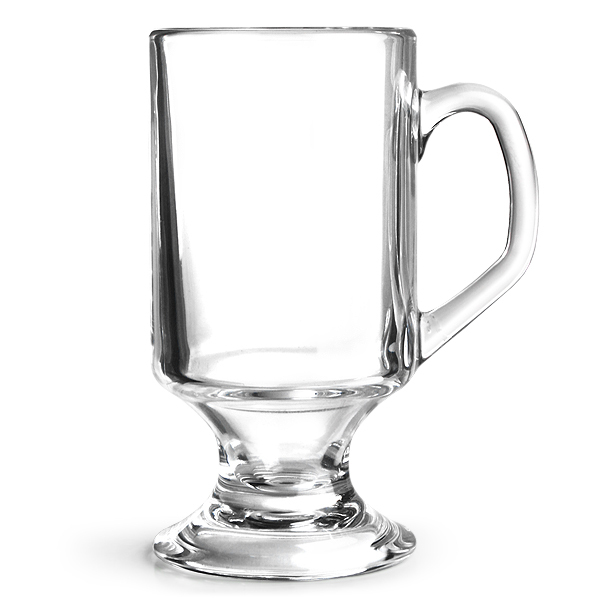 • It is worth noting that you can increase or decrease the density by adding sugar, water or alcohol, depending on where you want them to be positioned in the glass. As long as this is understood, anyone can use the Rainbow Cocktail Layering Tool. All you do, is pour the liquid into the top of the Rainbow Cocktail Layering Tool, it will do the rest! It's not as complicated as it sounds! 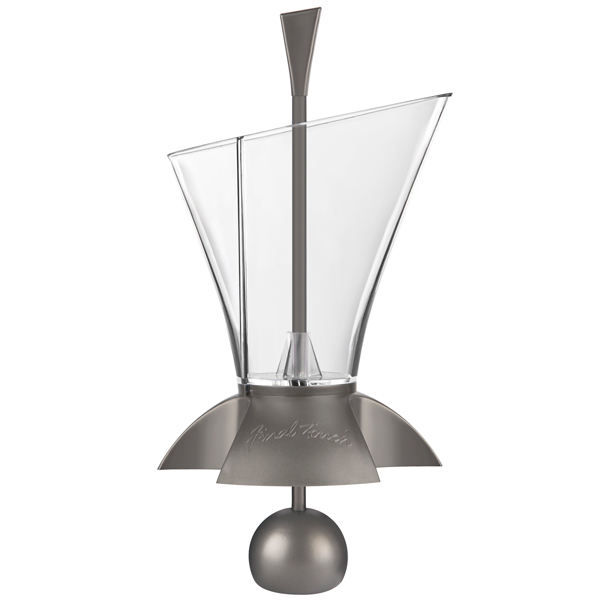 You'll be making fantastic looking cocktails in no time at all!! • Coffee Powder, Irish Coffee Glass. worth the price, a handy addition to anyone's drinks cupboard." "The layering tool is easy to use, getting a great effect with minimal effort. The ball in the middle floats on the surface of the layers making it fool proof. Great piece of equipment, but a little more expensive than I would like."